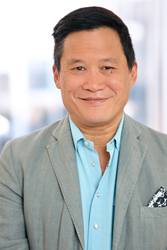 Douglas A. Lee has been named General Manager of 420TV, the premium cannabis news, entertainment and lifestyle OTT channel. With 420TV, we’re targeting a huge niche and elevating the conversation around it by shooting all original content in 4K and bringing such a high caliber of on-air and production talent together. 420TV, the premium cannabis news, entertainment and lifestyle OTT channel set to launch in January 2018, has named Douglas A. Lee its General Manager. A network launch pioneer who brought numerous cable and syndicated channels to viewers around the world before transitioning to the digital/OTT space, Lee also negotiated the 420TV deal on behalf of OWNZONES Media Network and has been the architect of the channel’s programming. He will now oversee and unify the channel’s key divisions – creative, content, technology, marketing, sales – under one POV. The announcement was made today by Dan Goman, CEO of OWNZONES Media Network, which – along with Genesis Media and Alex Nahai Enterprises – formed 420 Entertainment Group to develop and launch the new channel, a global, first-of-its-kind offering for which all original content will be shot in 4K. Lee, who recognized the inherent international opportunity behind 420TV early on, draws from a demonstrated track record in the global entertainment business, where he has been involved in the planning and execution of more than 20 networks/video services in the U.S., Europe, Latin America, and Asia. Lee conceived and launched MGM HD; created the next-generation pay service, Epix, and headed its initial programming efforts; spearheaded News Corp’s acquisition of Star-TV, the leading satellite platform in Asia; and helped create Noggin, the first educational children’s network and a joint venture between Sesame Workshop and Nickelodeon, among other successes. While 420TV will launch on 420TV.com and its mobile applications, it will quickly expand to other devices and through OWNZONES’ worldwide multi-platform distribution network. OWNZONES is a VOD platform with streaming video powered by OWNZONES Media Network, which produces and distributes content through its worldwide networks. Its distribution partners include Comcast, Amazon, Roku and Apple TV, among others. Debuting in early 2018, and initially available through 420TV.com and its mobile applications, 420TV is a premium 4K video-on-demand network devoted to all things cannabis. It will deliver original programming produced exclusively for the multi-platform channel, in addition to acquired long- and short-form entertainment. Content categories in development include news, information, food, fashion, comedy, music and animation, as well as acquired feature films, documentaries, music and live streaming events. 420TV was developed by 420 Entertainment Group, comprised of OWNZONES Media Network, Genesis Media and Alex Nahai Enterprises. For more information, please follow http://www.420TV.com.